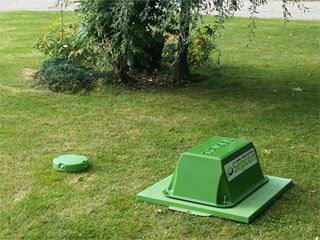 Waterteck supply and install sewage treatment systems to replace existing septic tanks or for new build houses. 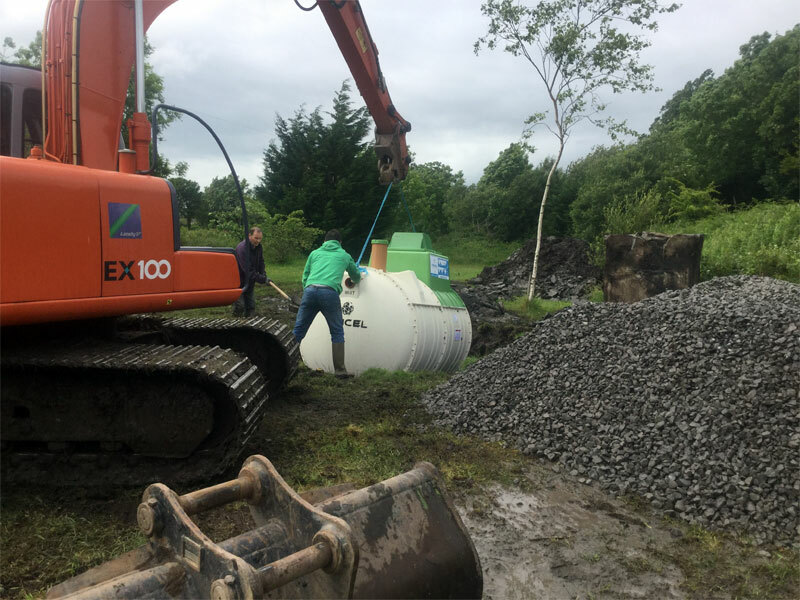 We offer complete installsion of sewage treatment and waste water treatment systems including percolation areas for waste water. Each system comprises of 3 independent treatment zones, all fulfilling a different stage of the purification process. The next stage of the wastewater treatment involves aerobic breakdown. This takes place in the aeration chamber, where masses of naturally occurring bacteria inhabit specially designed filter media. These bacteria are sustained with air, which is continuously supplied from a purpose-built pump in the unit’s top section. As the liquid flows slowly through the filter media, the bacteria feed on the waste and remove it from the liquid. 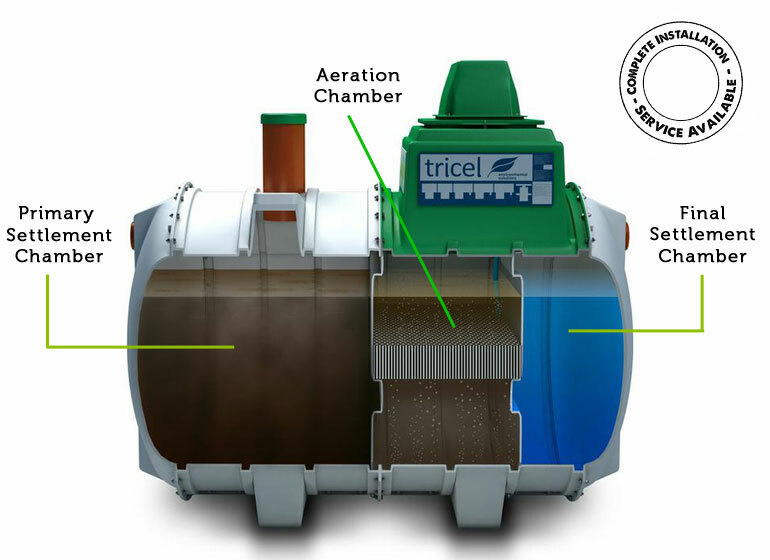 In the last stage of wastewater treatment, the liquid flows from the aeration chamber into the final settlement chamber. Suspended sludge consisting of bacteria is carried with the liquid into the settlement chamber and settles to the bottom of the chamber. 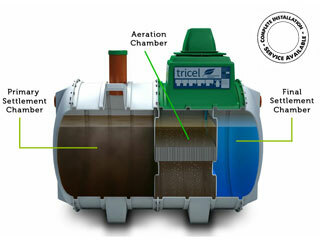 From there, a continuous sludge return system pumps it back to the primary settlement chamber. The remaining treated liquid now meets the required standard to be safely passed out of the Tricel system. 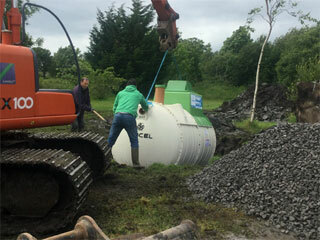 Call us on 071 965 8976 for advice on the suitability of your site for our waste water treatment systems.